Father Edward T. Oakes, S.J., professor of dogmatic theology at Mundelein Seminary and University of St. Mary of the Lake, has gone to God, dying on December 6, 2013. Readers of First Things know Fr. Oakes well. Over the course of two decades he has been intimately linked with the journal, publishing essay after essay on subjects that extended from Shakespeare to original sin, from the latest movie, to the nature of evolution. Oakes wrote well on many themes, but he will surely be remembered as one of the earliest and most insightful interpreters of the extraordinary thinker, Hans Urs von Balthasar. His 1997 book, Pattern of Redemption , was one of the first volumes in English to outline the theological architecture of the Balthasarian corpus in an accessible manner. Oakes was an accomplished cicerone, guiding readers through the notoriously difficult thicket of Balthasars thought, showing how his massive trilogyencompassing Glory of the Lord, Theo-Drama and Theo-Logic was stitched into an intelligible whole. While the Swiss theologian precipitously dropped readers into a welter of ideas and personages, with dense excurses on Goethe, Hegel, Nietzsche and Péguy, Oakes masterfully explained how these thinkers, and many others, were woven into Balthasars capacious Christian vision. Oakes did the theological world a further service by translating into English the unabridged text of Balthasars magisterial study, The Theology of Karl Barth , a book warmly praised by the great Reformed thinker himself. This may well be Balthasars finest volume, showing a profound appreciation for Barths orthodox Christian theology, even while correcting some of his misunderstandings of the Catholic tradition, particularly Barths ardent dismissals of the analogia entis (analogy of being) as nothing more than a naked attempt to subsume Gods sovereign freedom under worldly metaphysics. Balthasar argued cogently and at length that analogy is a philosophical structure serving , not commanding, the prior claims of divine revelation. Balthasars volume on Barth represented an attempt (characteristic of the pre-Vatican II nouvelle théologie ) to establish a via media between theological fideism (which displays an overweening hostility toward philosophy) and neo-scholastic rationalism (which insufficiently accents the mystery of divine revelation) by undertaking a retrieval of Aquinas himselfand recovering him as one who, with unique accents undoubtedly, stood squarely in the line of the earlier patristic tradition. Recently, Fr. Oakes published a comprehensive volume on Christology, Infinity Dwindled to Infancy: A Catholic and Evangelical Christology , dedicating the book to Evangelicals and Catholics Together (ECT), the ecumenical initiative started by Chuck Colson and Richard John Neuhaus in 1994 and of which Oakes was a long-time member. Ed was an invaluable contributor to ECT, entirely dedicated to its mission, writing several supportive papers, and never missing a meeting until he started chemotherapy earlier this year. Among Oakess achievements was his election as president of the Academy of Catholic Theology (2013-2014), a society of theologians dedicated to fostering theological work of the highest intellectual standard and faithful to revelation as transmitted through Scripture and tradition and interpreted by the magisterium of the Catholic Church. Unfortunately, Oakess illness did not allow him to preside over the Academys annual convention. But he did dedicate his final (unpublished) manuscript, The Candle Within: A Theology of Grace in Six Controversies , to the theologians who had elected him as head of their learned society. Oakes was not simply an erudite theologian; he was also a relentless New York-o-phile. Ed had lived in the city for several years (having completed his doctorate at Union Theological Seminary) and, no matter his subsequent assignments, loved returning, immediately embarking on whirlwind tours of theatres, movies, museums and much else besides. When Oakes took a faculty position at Regis University in Denver, Fr. Neuhaus noted with amusement that he was strenuously trying to convince himself that the Mile High citywith its philharmonic orchestra and opera companywasnt really so different from Manhattan itself. Neuhaus playfully encouraged everyone to indulge Eds innocuous self-delusions. When it was suggested to Oakes a year ago that a trip to Gotham would surely re-invigorate him, he politely declined. This was perhaps the surest sign that his illness was serious. In a final flurry of emails, Ed asked for prayers, wished to be remembered to his fellow ECT members, and noted that he was spending his time reading St. Thérèse of the Child Jesus, known to Catholics as the Little Flower. Thérèse Martin, a Carmelite nun who died at the tender age of twenty-four, was declared a doctor the Church by Pope John Paul II in 1997 on the basis of her unique sanctity and spiritual insights. I had never before heard Oakes mention Thérèse (even though Balthasar had written an important book about her), but he told me he was reading her autobiography, The Story of a Soul , for the umpteenth time, along with her correspondence with a missionary entitled Maurice and Thérèse . Oakes added, Carmelite spirituality suits me in this last stage of my life. At this crucial point, it seems, Eds mind and heart had turned toward one of the Churchs most beloved saints, herself known for exhibiting extraordinary trust in Gods love and mercy. 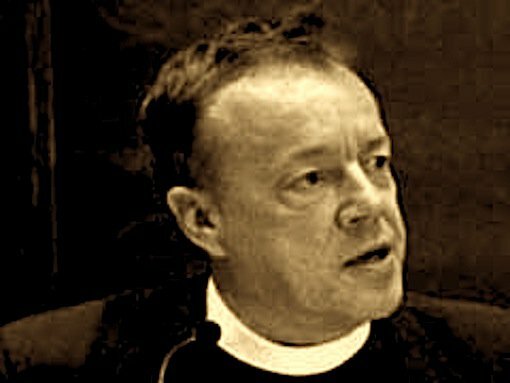 Father Edward T. Oakes, S.J. was a dedicated priest and theologian, an integral part of the First Things project from the beginning, committed to ensuring that religions voice, wisdom, and unique perspective remained a vibrant and essential part of public, democratic life. We pray for himthat he may be welcomed into the arms of the Divine Redeemer he faithfully served. Fr. Thomas G. Guarino is professor of theology at Seton Hall University and co-chairman of Evangelicals and Catholics Together.